It has been an ultra-quick turnaround from no-hopers to champions for the Pakistan players and the manner in which the team won the match was really impressive. Shahid Afridi represented Pakistan in 27 Tests, 398 ODIs and 98 T20Is between 1998 and 2016. He scored 1716 runs and took 48 wickets in Tests, scored 8064 runs and bagged 395 wickets in ODIs and scored 1405 runs and claimed 97 wickets in T20Is. He played in five World Cup, six World Twenty and five ICC Champions Trophy tournaments. This is one victory that Pakistan fans will remember for long. It has been an ultra-quick turnaround from no-hopers to champions for the Pakistan players and the manner in which the team won the match was really impressive. Rarely have I seen Pakistan deliver such a clinical performance in a tournament decider and annihilating hot favourite India came as a pleasant surprise. This Pakistan side has made me and the nation proud. I am simply overjoyed and over the moon on this astonishing success by Sarfraz Ahmed’s side. Pakistan has unearthed new heroes in a span of 14 days. From Fakhar Zaman to Hassan Ali and Shadab Khan, Pakistan has shown the world its rich talent and pedigree. In Sarfraz, it now has a captain who can perhaps take the team to unprecedented glory in the years ahead. Winning a world event final by 180 runs is as overwhelming as it gets. Remember, this is the same team that barely qualified for the tournament, started as the lowest-ranked team in the fray, and was handed a 124-run drubbing in the opening match by India. The turnaround has left the world bewildered and has brought a wave of ecstasy and unbridled joy for Pakistanis all around the world. As soon as the game ended, celebrations mirroring the 1992 World Cup and 2009 World T20 wins began across the country. The game today was all about Pakistan’s positivity and fearless approach. Fakhar and Azhar Ali fought through a torrid start, especially the southpaw, who survived after nicking a Jasprit Bumrah no-ball through to MS Dhoni. Fakhar from there on blossomed and played a scintillating innings. I would rate his performance as arguably the greatest by a Pakistani in a world event final considering that this was only his fourth ODI and first ever against India. I was hugely impressed by his courage despite getting hit in the head early in his innings and how he forgot that to build a most memorable innings. A lot of credit must be given to Azhar, who took the responsibility to score the runs early on in the innings when Fakhar looked troubled; the two also rotated the strike brilliantly which never allowed Indian bowlers to settle. 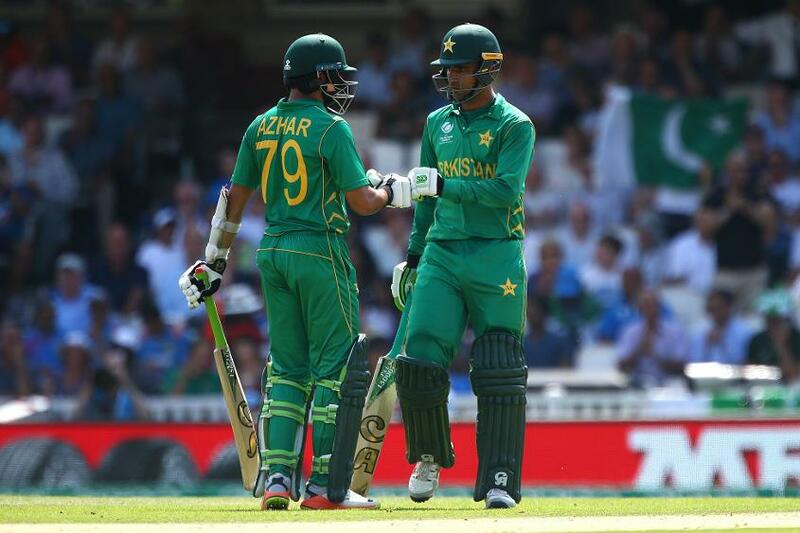 Fakhar and Azhar established a wonderful base which was exploited efficiently by Babar Azam, Mohammad Hafeez and Imad Wasim. A real positive for Pakistan was its batting against spinners Ravichandran Ashwin and Ravindra Jadeja, who looked rattled and clueless against the onslaught by the batsmen. Chasing 339 was never going to be easy despite the pedigree of the Indian batting line-up. Today was the day when Mohammad Amir had to rise and perhaps redeem himself for good. That’s exactly what the star performer did; his opening spell was an absolute delight to watch. Indians were relying heavily on their star studded top-order of Shikhar Dhawan, Rohit Sharma and Virat Kohli and Amir dismantled the trio in a sensational burst. Amir’s deliveries to dismiss Sharma and Kohli were nothing short of pure magic, he toyed with the very best in the world before snaring Dhawan just when he started to launch a counter attack. I felt that the game was as good as over when Hassan Ali and Shadab Khan sent Dhoni and Yuvraj Singh back and the formalities were duly completed despite an entertaining onslaught by Hardik Pandya. Sarfraz’s joy at the fall of the last wicket showed us what the win meant to him. The whole team deserves to celebrate well beyond the Eid festival next week as the players richly deserve their victory. The joyous scenes reminded me of our World T20 win in 2009 where I was lucky to play a match-winning role for my team in the semi-final and final. Pakistan, meanwhile, has a team that can develop into one of the top three teams by the time the 2019 World Cup is played in England. This squad is built around exciting young talent and has an astute and passionate leader in Sarfraz. The teams that might have taken Pakistan lightly in this event will never dare to repeat such a mistake again and whatever the lead-up to the 2019 World Cup may be like; Pakistan will be a serious contender for the trophy. The Champions Trophy 2017 has been a memorable event and Pakistani fans will remember it for a very long time indeed. The fans, especially the youngsters who saw the team dethrone India, will be inspired to replicate the performances of their heroes in the years to come. The 1992 World Cup win gave us a new generation of match winners and this win ranks very close to that, I am confident that Pakistan cricket is back on track and we will see this team reach some incredible highs in the years to come, especially if the team continues to play with the kind of passion and commitment displayed in this tournament. Lastly, I would like to thank the ICC for giving me this opportunity of expressing my views and contributing as a Champions Trophy ambassador. I hope you enjoyed reading my views as much as I enjoyed penning them.